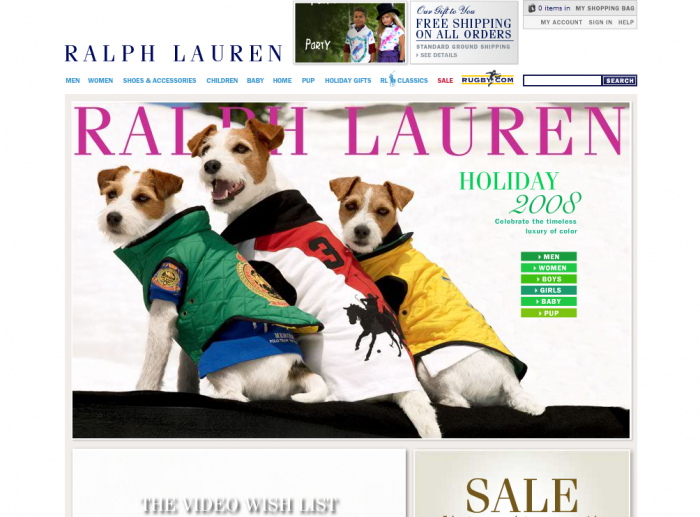 Ralph Lauren was getting ready for the holiday season and was on the hunt for Parson Russell Terriers. After being contacted by Paula, the ad agency's trainer, we sent in a few snapshots to see if we had the "Ralph Lauren look". Next thing we knew we were headed off to beautiful Mt. Hood ski resort in Oregon. It was the middle of July, but still filled with snow, skiers and snowboarders. They took hundreds of pictures with all the different models and even a shot of a tailgate party on the back of the new Mercedes SUV. The dogs' clothing was custom tailored on site and they will be sporting their polo shirts with pride throughout the holiday season. Be sure to check out the Ralph Lauren website* frequently as they change and update their website with new pictures. Also, flip through some of the high fashion magazines this winter to get a glimpse of the Rosewood models in action!! *09/30/09: The campaign is unfortunately over now and is no longer on their website.